Today has been rest & recuperation after the tour. Because tomorrow we head off to Bhutan for further filming for the PGS intuition documentary. 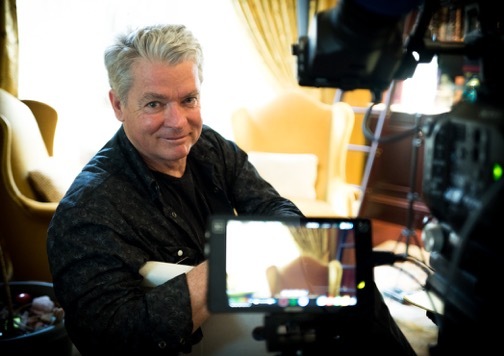 Cameraman Extraordinaire Pieter de Vries ( CE ) has joined us, and will be filming in Bhutan. When we come back from Bhutan we go to Varanasi – formerly called Benares – a very holy town on the Ganges. And then we go back to Bombay for more filming. So there’s still a lot to do before we return to Australia. We hope to complete filming by the end of the year, but it’s subject to funding. We still have a lot more to shoot in the US, and some in Hawaii. We are being intuitively guided in the making of this film. Everything is working out as it should. The film is going to have a big impact. Jennifer and I today are in post tour post partum depression. We miss all those crazy beautiful people we shared the last two weeks with. But now we’re starting to think of our tours next year. We will definitely do the same tour – the Mother Ganga tour – at the same time again next year, so that we conclude with Ganpati. And we’ll do another tour in April / May – which we’ll announce shortly. I’m not sure where that will be yet – whether it’s the Celtic Camino will depend on level of interest. I’ll post a blog shortly to ask who’s interested. And now I’m going to have a nap. It’s been a big year, and it ain’t over yet! Lynda, you and Dale made the tour such a pleasure for us. Thank you for everything – and for these very kind words here. You two are very special people. From our lakefront and and canal backside paradise we Miss you both/all!!! Bill spoiled us so Dale and I upgraded to a Ramada. Very nice. Lying by the pool at the moment. Why don’t you come on over for dinner! Tomorrow we are going for a canoe ride up a junge backwater canal and the next night an overnight trip on a Kerala backwater houseboat. I am hoping we will be able to see you when you go to Alaska. We miss all of you. As we lay here contemplating whether to turn over or have another cocktail/beer; we keep saying “Remember this or that”. The trip was spectacular but made even more special by all of the group. We tearfully saw Rachit off, then took a taxi to the airport only to find out it was the wrong one. Thankfully domestic was only a ten minute drive. We are planning on dinner around seven if you can make it!!! HA! Oh, and Jill how about you coming up too? We’ll talk when we get home next week. Yes Steve, Dale and I do love Jill. Love to join you & Dale for dinner – around 8pm? It’s Happy Hour here from 6.30pm! So we’ll head on over after that. Maybe we will join you for happy hour and then we can just take our private jet back here for dinner. Last night I had the biggest prawns I have ever seen. Day after tomorrow we are having lobster and prawns on the houseboat. Yumm. But nothing beats the Sunday Brunch at the JW with Bill and Jen….the caviar, jumbo prawns and the desserts….. I can still taste that chocolate from the big round pan. It just was like velvet oozing over and around your tongue. It was so good you didn’t want to swallow it. Hey, maybe since we are dreaming here, how about you and Britta popping back up here and we’ll do the JW again on Sunday!